Welcome to As Fall Leaves Illustration! This is the home of illustrator and graphic designer Joshua Werner! Josh uses his love for art of all kinds, his training from both the College for Creative Studies and the Pennsylvania College of Art and Design, and over a decade of experience in the professional field to bring you the best custom artwork and design to suit your graphic needs. Please take a moment to browse all the fun posts for glimpses into the different projects Josh has been working on, and take a look at the webstore and the Facebook page. You're welcome to chat Josh up over at Twitter as well! As Fall Leaves Illustration was created in 2004, the name derived from a line from Josh's first book he'd written and self-published, The Brutality of Fact. It was at that time a signature style had developed and he began doing freelance illustration and graphic design. 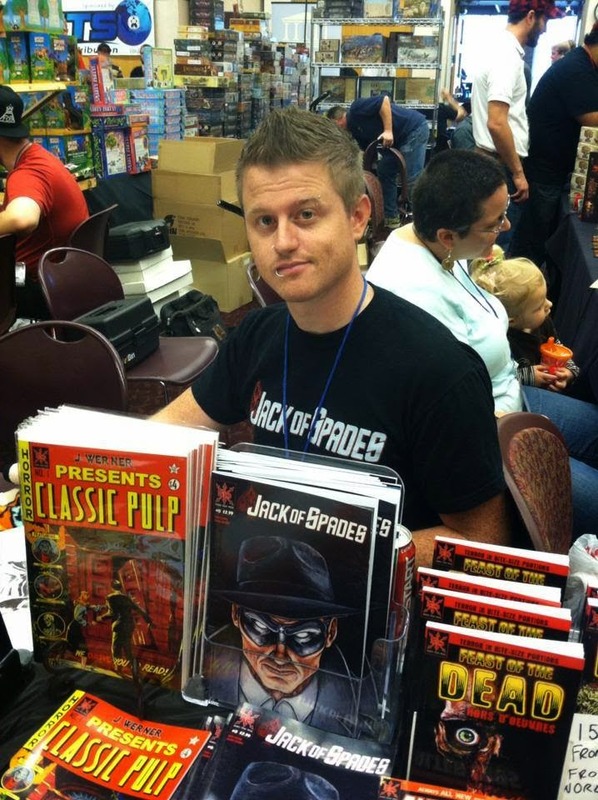 Since then Josh has done work for DVD covers; film storyboards, concept art, and set design; books, magazines, and comic books; t-shirts, jackets, jeans, and other fashion design; CD covers and vinyl jackets; posters; trading cards; videogames; and more. Josh works as an in-house designer and also freelances for a large variety of clientele. He works in a large variety and combination of mediums, from oil paints to markers to digital. He works well with diverse clients from all sorts of backgrounds, and travels regularly to multiple countries in Asia to work with associates there, and is always excited to meet new and interesting people. Josh is very experienced in taking things from initial concept through to a finished product, and can use that experience to help you with any type of custom graphics needs. Josh is also the Art Director at the publishing company Source Point Press. Here he handles a large variety of tasks including overall creative direction and marketing for the company, as well as art direction on novels, comic books, and graphic novels. On a day-to-day basis he does tasks such as logo design, pre-press file preparation, cover design, prose and comic script editing, social media account management, advertisement sales and advertisement design, book layout, press releases, and frequent communication with artists, writers, advertising accounts, retail store owners, distributors, and printers to see projects through from conception to finished product. Josh often teaches classes, both online and in person, on illustration, design, and more. Keep an eye on his social media for news about class opportunities! Josh Werner's services are available for hire! If you need any of the following, you've definitely come to the right place! With each individual job, simply contact Josh at asfallleaves@gmail.com with a thorough description of the work and exactly what would be needed. From there, he will send you a quote with the approximate price for the job described along with payment terms. Then the work can begin and an invoice will be sent to you based on the quote and payment terms agreed upon! Above all creative endeavors, Josh believes in the art of communication, as that is key to great work and satisfaction for both parties! From the "About" section, you've seen just a glimpse at the variety of work Joshua Werner does, and where his expertise lies. Are you simply looking for some technical information or advice you can trust? Let his experience save you time, struggle and inevitably cost, by hiring his consulting services! This is a great way to get some valuable information before proceeding with your project and can really save you some headaches! Josh's consulting services are only $100 per hour, and he's available by appointment for a Skype consultation which can either be by typed chat (like a chatroom conversation), or voice chat (like a phone call), or by video chat. The choice is yours! 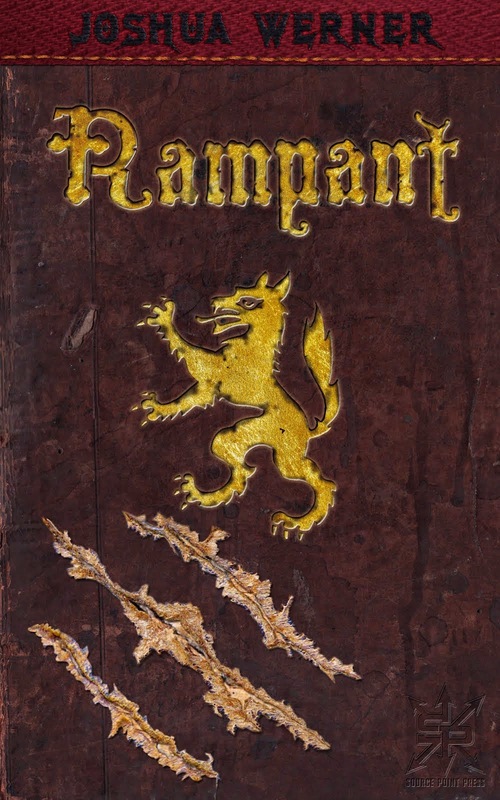 - Illustration in any medium, and its use in products and printing. All you need to do is write to Josh at asfallleaves@gmail.com to set up your appointment day and time. Please include a description of what you'd like to discuss and what questions you will ask. He will promptly reply to discuss the likely length of the session, based on the description you gave and to set up an appointment with you. "Josh's work is of the finest quality. He always surpasses your expectations. I am genuinely excited to see his finished product! I would recommend hands down. His service to the Morrow Road film has ranged from promotional shirts to storyboards and art compositions. He's been called upon at least a dozen times on the course of the film, each time performing wonderful art that captures the intended mood." "Josh is a brilliant artist and designer. I have had the opportunity to know him on a personal and professional level and his talents never cease to amaze me. His artwork is simply amazing and he has such a versatile range of design. I would recommend him to anyone seeking a great artist." "I hired Joshua to design a few graphic logo t-shirts for G5 Outdoors. Joshua was quick to respond to emails and make revisions to the artwork at the company's request. He was very professional, polite, and easy to work with. The company is very happy with the results and we will hire him again in the future. I highly recommend Joshua." "Joshua's visions are top notch to say the least! His concept designs are great and painting skills are of the highest quality! Joshua was handling a huge mural for Morrow Road, working with another artist Toby at different times of the day and not actually working on it together, but making it look as one person had did this great painting! His ideas for Morrow Road really has surpassed any idea that we had in our minds and really brought it to life! I would recommend him for any painting that I would ever need to have done!" 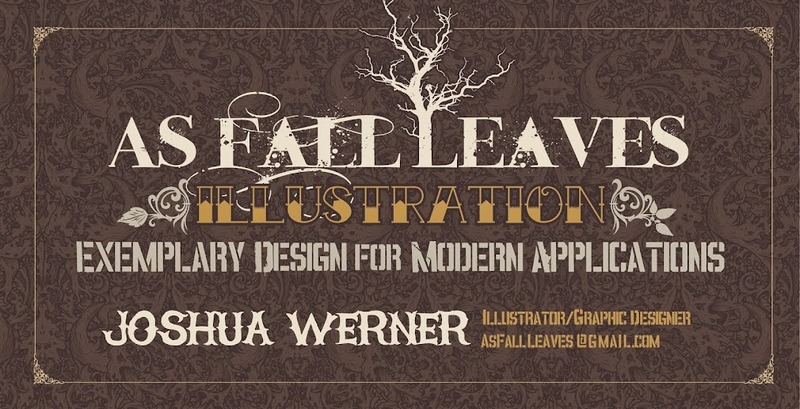 Need to pay As Fall Leaves/Joshua Werner for a product or service? You can use a credit or debit card at paypal.com and direct the payment to asfallleaves@gmail.com. Prefer to pay a different way? Email Josh to discuss.